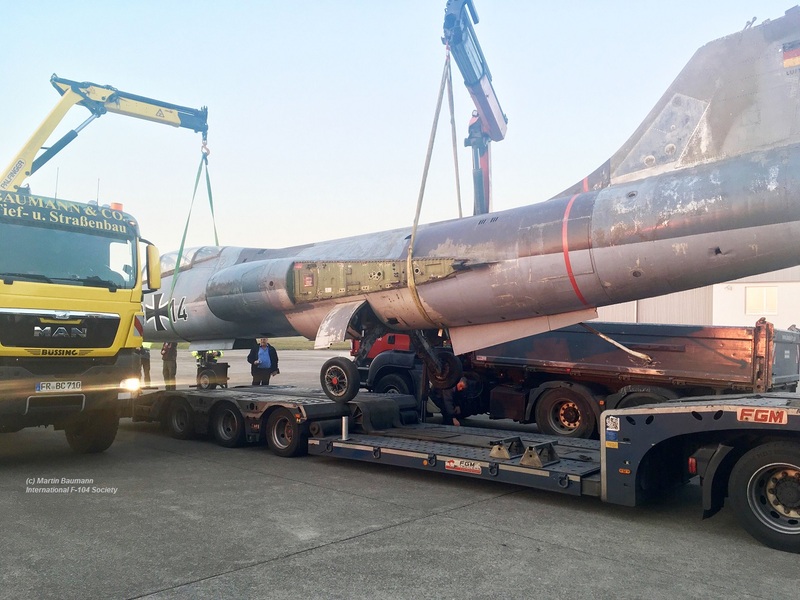 Yesterday evening the F-104F 29+14 (c/n 5066) arrived by road transport at Bremgarten. 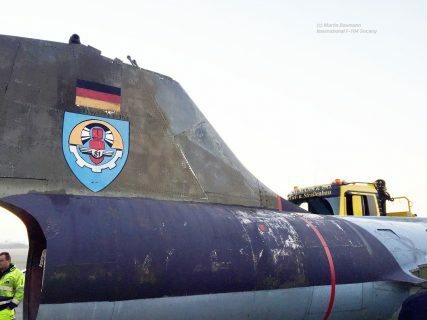 Martin Baumann toke some photos (published here via him) during the unloading and stated that the aircraft will be restored at this airbase and likely being displayed later on. 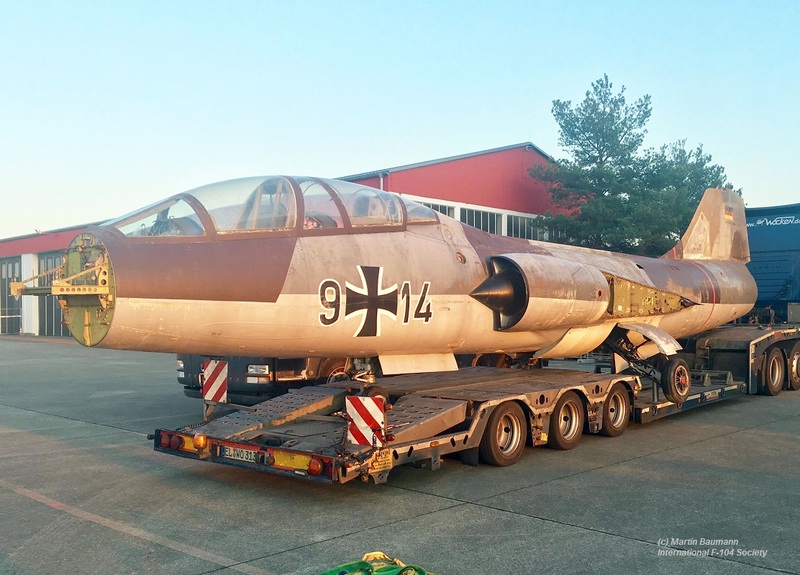 This F-104F Starfighter was part of an aircraft museum collection at Alten-Büseck since it arrived there September 25th in 2009. The aircraft was on loan by the German Air Force Museum Berlin-Gatow. Sadly the owner recently passed away and the complete collection was disbanded and the museum closed. 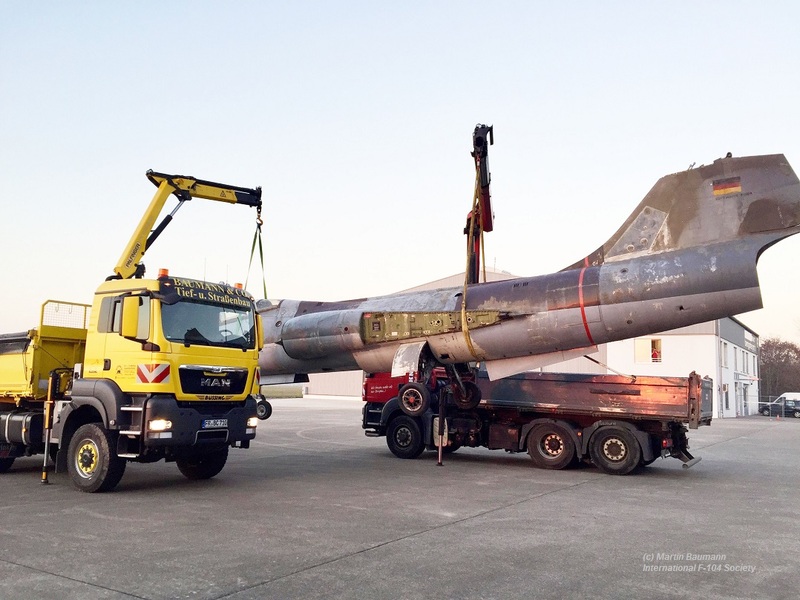 The aircraft went back to Berlin Gatow but it was decided to hand it over to the airbase Bremgarten for treatment and future display. 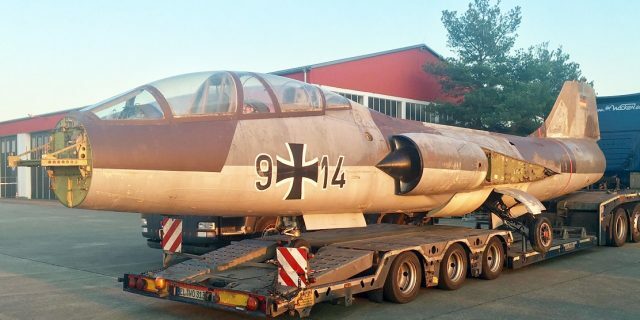 This is good news because the aircraft is in bad shape and when kept in storage at Berlin it would be almost sure ended up as scrap. We look forward to the end result and wish the team a lot of success restoring this nice bird.